We love a bit of synchronicity around here. 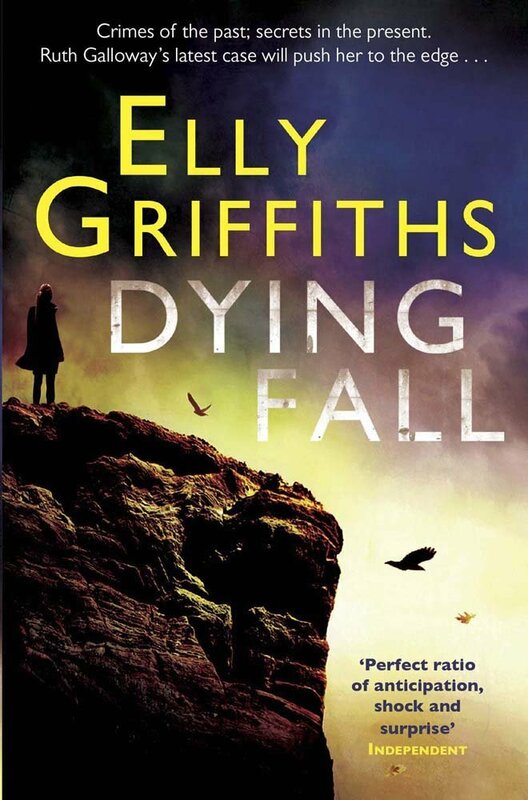 No sooner had Crime Thriller Fella interviewed Elly Griffiths than the news broke that she’s been long listed for the Theakstons Old Peculier Crime Novel of the Year 2014, for her Ruth Galloway novel Dying Fall. This week we were more concerned with her new Galloway novel The Outcast Dead, which we reviewed on Wednesday. 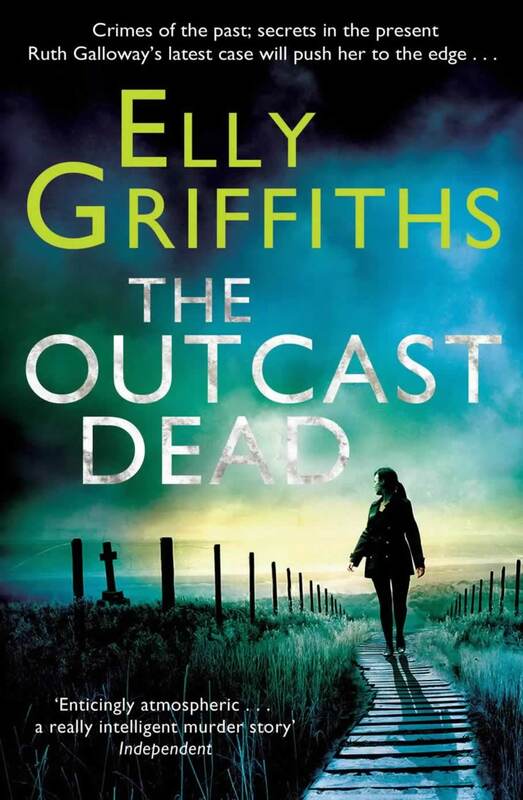 Scroll down a bit and you’ll see that – but not before you get The Intel from Elly on The Outcast Dead, Ruth Galloway and, of course, her writing regime. You will not be disappointed. In The Outcast Dead you very much explore the anxiety mothers feel when they allow childminders to look after their children – is it important to you that your novels have a theme to power the drama? In a funny way the theme comes last. I usually start with an archaeological or historical idea, in this case nineteenth century prisoners held under the so-called separate system. Then the prisoner became a woman and a childminder, partly based on the real-life case of Amelia Dyer. This seemed to tie in with the theme of motherhood. Many of my characters seem to be becoming parents. I didn’t plan it this way but it’s one of the benefits of a long series. You can watch the children grow up in real time. The characters – Ruth, Nelson, Judy and Cathbad among them – have very entangled emotional lives. What comes first character or plot? As I say, probably the historical idea comes first, then all the other factors come into play. Character, plot and setting are all intermingled in my books. You can’t really separate them. Norfolk is very much a character in the book – what is it about the county that you find so evocative and mysterious? So many things! I spent a lot of my childhood in Norfolk and I think there is something magical about places you visited as a child. They retain their sense of awe and wonder. Norfolk also seems very big to me, possibly because I’m still seeing it on a child’s scale. But it’s also because it’s such a rich and varied landscape – and also slightly spooky. But the main reason I set the books there is because there is such a wealth of archaeology in Norfolk. You have Neolithic flint mines, Bronze and Iron Age relics, Roman remains and a host of other historical sites, right up to the Second World War. 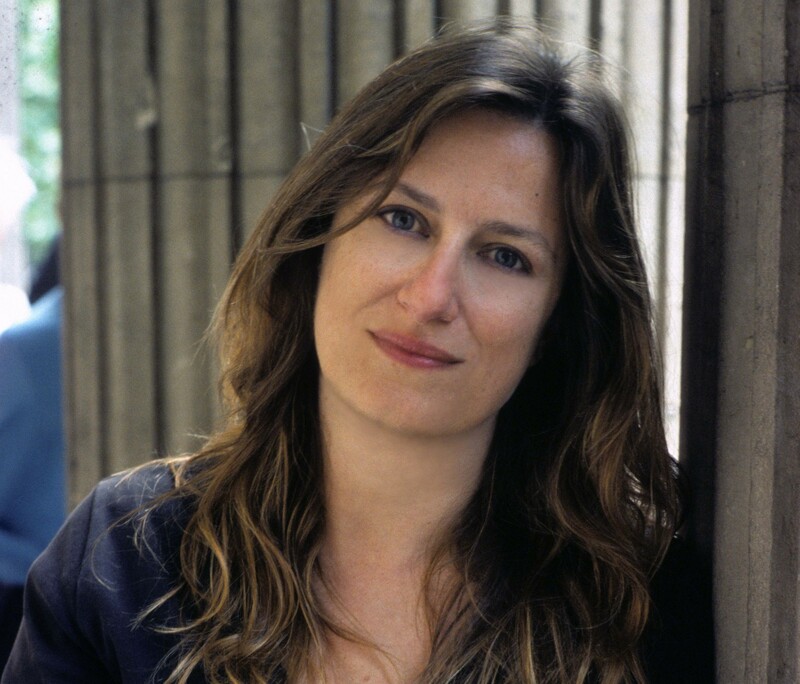 Your protagonist Ruth Galloway is both headstrong and insecure – what is it about her that your readers love, do you think? I’m not really sure but I’m so happy that people love her because I do too! I think people like the fact that Ruth isn’t perfect. She’s shy, overweight and slightly grumpy. She’s insecure about her personal life but very confident in her professional sphere. I think people can relate to that. Take us through a typical writing day for you? My children catch the school bus at seven-thirty. Then I make a pot of strong coffee and start work. I try to work from eight to eleven with no interruptions. My mum is housebound and I visit her every day at eleven-thirty so my writing time is quite limited. Having a set time to write works well for me. I’m not easily distracted (certainly not by housework!) and I try to write at least a thousand words a day. Who are the authors or you love, and why? My favourite author is Wilkie Collins. I love his sense of place, his humour and his characterization. I think Count Fosco in The Woman in White is the best villain of all time and Marian Halcombe the best heroine. When I was writing The Crossing Places I was very influenced by the description of the Shivering Sands in The Moonstone. I also like David Lodge, Anne Tyler and Alison Lurie. That not everyone is pleased for you when you write a book. I honestly think feedback doesn’t help with the creative process. I never show my work to anyone until it’s finished. Then, of course, I get wonderful help and advice from my editor and agent. But they are professionals and it’s their job. Having said that, I love hearing from people who have enjoyed my books. For me that is one of the joys of social media, being able to speak so directly to readers. How have your own experiences shaped your writing? I’m sure my life has shaped my writing but, the more I write, the better that is hidden. My early books (published under my real name, Domenica de Rosa) are very raw with personal experience. I’ve learnt to disguise myself now. Write every day and try not to go back on what you’ve written. Press on until you’ve got a final draft. And don’t ask friends and family for feedback! Write to lots of agents and tell them that you’re doing this. The one thing agents can’t stand is the thought that one of their rivals might get their hands on a hot new writer. I’ve got a new book out in the autumn. It’s a crime novel but not about Ruth. It’s called The Zig Zag Girl and is set in the theatrical world of the 1950s. The next Ruth book is called The Ghost Fields and will be out early next year. This entry was posted in The Intel Interviews, Thrill Seekers and tagged Alison Lurie, Anne Tyler, David Lodge, Domenica de Rosa, Dying Fall, Elly Griffiths, Ruth Galloway, The Ghost Fields, The Outcast Dead, The Woman In White, The Zig Zag Girl, Wilkie Collins on May 9, 2014 by Crime Thriller Fella. Here are some more pointless facts — most of which you probably know anyway, being clever people — about another legendary crime thriller character. This time round, Sherlock Holmes. 1/ Sir Arthur Conan Doyle’s famous creation first appeared in the novel A Study in Scarlet, which was turned down five times by publishers – will these foolish publishers never learn? However, the novel wasn’t at all successful. 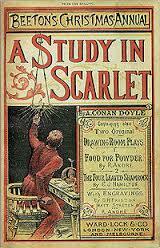 It was only at a dinner-party in 1889 that Doyle was persuaded to write another Sherlock Holmes novel by an editor. And what a swell party it must have been. At the same reception, Oscar Wilde was also persuaded to write a novel — The Picture of Dorian Gray appeared in the same year as The Sign of the Four. 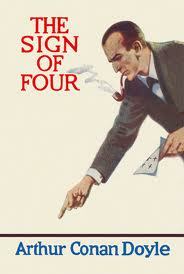 However, it wasn’t until A Scandal In Bohemia was printed in Strand Magazine that the Holmes character really took off. 2/ The Great Detective’s name was originally going to be Sherrinford Holmes, and Dr John Watson was to be called Ormand Sacker. However, Doyle thankfully changed his detective’s name to Sherlock – after a cricket player. 3/ Holmes was famously inspired by a real-life lecturer at the University of Edinburgh, Dr Joseph Bell, who had the uncanny ability to diagnose patients simply by looking at them, and also a forensic scientist called Sir Henry Littlejohn. 4/ Holmes was an habitual user of cocaine – which he injected in a seven-per cent solution – and occasionally used morphine. Both drugs, however, were legal in the 19th Century. 5/ Doctor John Watson moved in with Holmes after returning penniless and invalided from Afghanistan. It was only when he was disturbed by the crowded comings and goings in their lodgings – bloody flatmates! – that he discovered Holmes was a Consulting Detective. 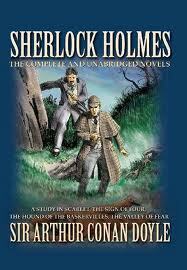 7/ Holmes never mentions his parents, but has a brother called Mycroft whose powers of deduction surpass even his own. However, Mycroft is corpulent and lazy and works in some vague capacity in Government. Holmes also claimed that his great-uncle was the French painter Vernet. 8/ Holmes is often portrayed as a fey, cerebral character, but both he and his good friend Dr. Watson were not shy of getting stuck in. They carried revolvers, which they used to pistol-whip people. Holmes was also adept with a cane, a sword, and also at bare-knuckle fighting and martial arts, which he used to fling Moriarty to his death. 9/ Tired of the character, Doyle killed Holmes off in The Final Problem, saying ‘I am weary of his name.’ But reader pressure – and some serious cash – forced him to change his mind and bring Holmes back. Holmes apparently spent the three years after he supposedly fell to his death from the Reichenbach Falls travelling the world. 10/ Professor James Moriarty, the Napoleon of Crime, has been celebrated as Holmes’s great antagonist, but he only appeared in two stories, and was created specifically so that Holmes could meet his end in The Final Problem. A number of people have been suggested as the model for Moriarty, including famous London criminal Jonathan Wild, spiteful astronomer Simon Newcomb, and mathematician George Boole. However, there may be a more Freudian explanation. Conan Doyle went to school with two boys called Moriarty. Similarly, Irene Adler, another character who has become more prominent in the Holmsiverse in recent years, only appeared in a single story. Now you have the facts at your fingertips, go forth and amaze the world. This entry was posted in Thrill Seekers and tagged Arthur Conan Doyle, Joseph Bell, Reichenbach Falls, Sherlock Holmes on June 21, 2013 by Crime Thriller Fella. 1/ These days Simon Templar is more familiar for his TV incarnations — Roger Moore being the most-obvious — but Leslie Charteris’s creation appeared in no less than 50 books, beginning in 1928 and continuing until 1983. Templar was kind of a missing-link between the heroes of the 19th and 20th Centuries – part gentleman thief, part superspy, a kind of modern-day Robin Hood figure. As his surname suggests, he was on a crusade against injustice. But this lone-wolf was flexible. In some of the post-war novels written by Charteris there’s a suggestion he works with the American government. He also often indulged, like his near-contemporary 007, in a spot of assassination. 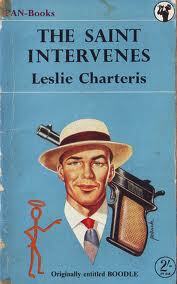 2/ The author Leslie Charteris was actually born Leslie Charles Bowyer-Yin in Singapore, and apparently changed his name to Charteris by picking it out of a telephone directory. 3/ He wrote his first Saint book when he was only 21. Called Meet The Tiger, it was a success when it was published, and inspired Charteris to turn the character into a series. But Charteris never liked it and often referred to the second book in the series, Enter The Saint, as real beginning of the series. As well as the official 50 or so English-language books, there are a further forty or so Saint books that were published in French, and never translated into English. 4/ The Sign of the Saint, that iconic little stick figure with the halo over his head, appears in virtually every novel as Templar’s calling card, and was apparently designed by Charteris himself – when he was nine. 5/ The Saint In New York is considered the most-popular of the Templar novels. It marks the point where The Saint started using his passport with gusto, going global with his adventures. It also marked the point when the character took off in the US, branching out into film and radio. out of his stories, despite Templar’s weakness for the many lovely ladies who came his way. Holm conveniently disappeared after a while, and Charteris later suggested it was because she was pregnant. 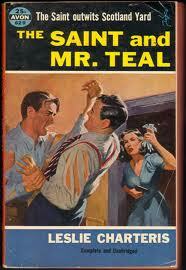 There are also a number of recurring characters in The Saint books who helped or hindered him in his crusade against crime, such as Claude Eustace Teal and Rayt Marius. In the early stories Templar – the source of his wealth remained a mystery – had a man servant called Orace. 7/ In The Saint books, Templar drove a terrific car called an Hirondel, an eight-cylinder red and cream sedan which weighed in at 5,000lbs. The problem for film producers was that the Hirondel make was completely fictional. This mightily masculine car perhaps compensated up for one of the aliases Templar sometimes used — Sugarman Treacle. 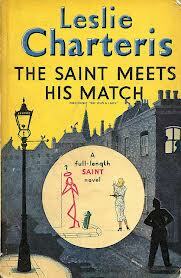 8/ After 1963 Charteris began to put his name to books actually written by other authors, but overseen by him. The final book in the series Salvage For The Saint was published in 1983, and the character didn’t appear in print again until 1997. 9/ The Saint occasionally featured science-fiction elements. Bond had his SMERSH and his SPECTRE and Templar had, in one book, SWORD – or the Secret World Organisation For Retribution and Destruction. This evil organisation – which could perhaps use a touch of rebranding if it wants to remain secret – appeared in 1968’s The Saint And The Fiction Makers. 10/ Templar has been played by Moore, Ian Ogilvy, George Saunders, Vincent Price, Val Kilmer and many others, but has fallen off the radar where film and television is concerned. There have been numerous attempts to resurrect the character. But a pilot for a new series may actually have been made. Adam Rayner plays Templar, and for the first time the show features other characters from the books, including Patricia Holm, played by Eliza Dushka, her off Buffy. This entry was posted in Books, Thrill Seekers and tagged Claude Eustace Teal, Elisha Dushku, Hirondel, Leslie Charteris, Patricia Holm, Roger Moore, Saint And The Fiction Makers, Saint In New York, Simon Templar, The Saint on June 10, 2013 by Crime Thriller Fella. 1/ James Bond first appeared in the novel Casino Royale in 1953, and many of his characteristics were already fully-formed – the love of fast cars and fast women, and putting bartenders to work making painfully-complicated martinis. 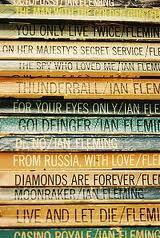 Author Ian Fleming, who worked in Naval Intelligence during the war, based Bond on a number of agents and commandos he had known – but Bond shares many of Fleming’s own characteristics. 2/ Bond smoked up to 70 cigarettes a day, his own special brand of Morlands. When you think about it, it’s amazing that he could climb the stairs, let alone manage all the action stuff. 3/ Fleming wanted his spy to be anonymous, a blunt-instrument. ‘I wanted Bond to be an extremely dull, uninteresting man to whom things happen.’ James Bond was the name of the author of a book called Birds Of The West Indies which languished on Fleming’s bookshelf. 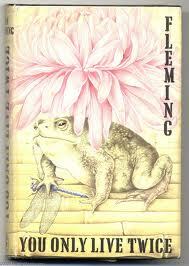 It was the dullest name that Fleming could think of. Now that short, terse name is a byword for glamour and action. 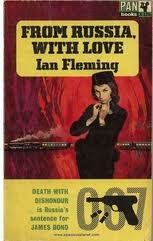 4/ Six other authors have penned Bond’s exploits since Fleming’s death: Kingsley Amis – writing as Robert Markham – Christopher Wood, John Gardner, Raymond Benson, Sebastian Faulks and Jeffery Deaver. 5/ Bond has been played by a number of actors, all of whom you could probably name off the bat, but Fleming originally wanted David Niven to play the part. Cary Grant was also considered, and Fleming’s own cousin, Christopher Lee. But if you want to know what Bond really looks like, in the novels he’s described more than once as looking like the singer Hoagy Carmichael. 6/ The movie Skyfall explored Bond’s Scottish roots. Bond has a Scottish father, Andrew Bond, and a Swiss mother, Monique Delacroix, who died when he was 11. Fleming was a bit sniffy about Connery in the first instance, but his performance eventually won him around, and in his penultimate novel, You Only Live Twice, Fleming finally sketched in Bond’s Scottish background, a knowing nod to Connery. Albert Finney’s role in Skyfall was written for Connery – but because of his iconic status in the franchise the film-makers changed their mind about his appearance. 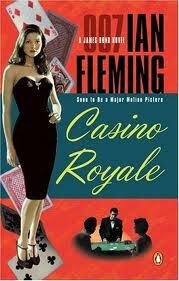 7/ Bond’s favoured weapon in the novels was a Beretta 418 until, following the release of the Dr. No movie, a fan wrote to Fleming to inform him that Bond was toting ‘a lady’s gun.’ Fleming changed the pistol to the Walther PPK, introducing the character of Major Boothroyd , the military Quartermaster – and Q division was born. 8/ The most-uneventful Bond story is perhaps 007 In New York. Fleming was commissioned to write an article about the city for a book called Thrilling Cities. Fleming, however, was less than thrilled with NY, and instead wrote the short story, in which Bond makes scrambled eggs. 9/ Bond was married once in the books, to Contessa Teresa di Vicenza, or Tracey Draco, the only child of the head of the Union Corse, the Corsican crime syndicate. Tracey is killed on their wedding day. In the subsequent novel, You Only Live Twice, Bond is a broken man until he extracts revenge from Ernst Stavro Blofeld. 10/ And Bond also had a child. At the end of You Only Live Twice he leaves Japan without knowing he’d got Kissy Suzuki preggers. A Raymond Benson short story called Blast From The Past takes up the story, when he arranges to meet his son, James Suzuki. This entry was posted in Books, Thrill Seekers and tagged 007 In New York, Blast From the Past, Casina Royale, Christopher Wood, Contessa Teresa di Vicenza, Dr. No, Ernst Stavro Blofeld, Ian Fleming, James Bond, Jeffery Deaver, Kingsley Amis, Kissy Suzuki, Raymond Benson, Robert Markham, Sean Connery, Sebastian Faulks, Skyfall, You Only Live Twice on May 29, 2013 by Crime Thriller Fella.